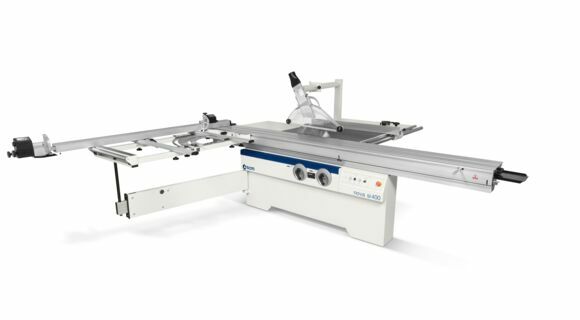 The future of woodworking technology is in the spotlight. Walk into our world of Industry 4.0 that will be accompanied by leading industry experts who operate in this field from around the world. The SCM exhibit space will be over 12 thousand square feet packed with unmatched technologies and filled with networking opportunities. 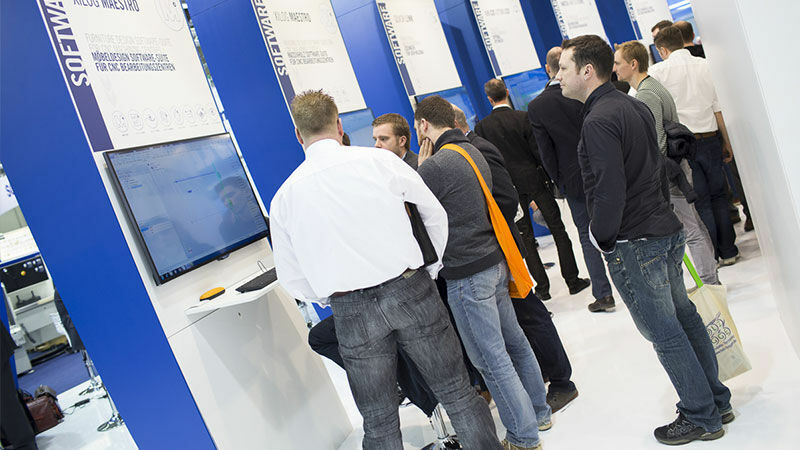 Attendees will have the opportunity to see first-hand how Lean comes to life with our daily Lean manufacturing seminars, technology demonstrations, along with other exciting activities. SCM has joined forces with Got Your 6, a social movement that works to strenghten our communities by empowering veterans. 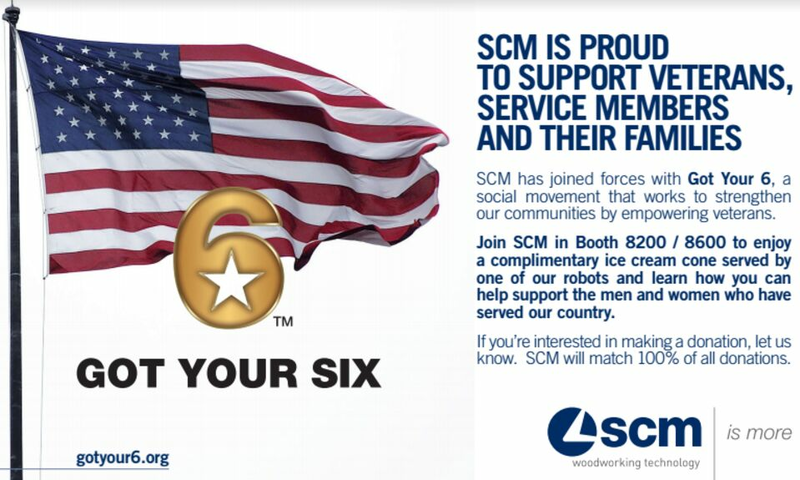 Join SCM in Booth 8200 / 8600 to enjoy a complimentary ice cream cone served by one of our robots and learn how you can help support the men and women who have served our country. 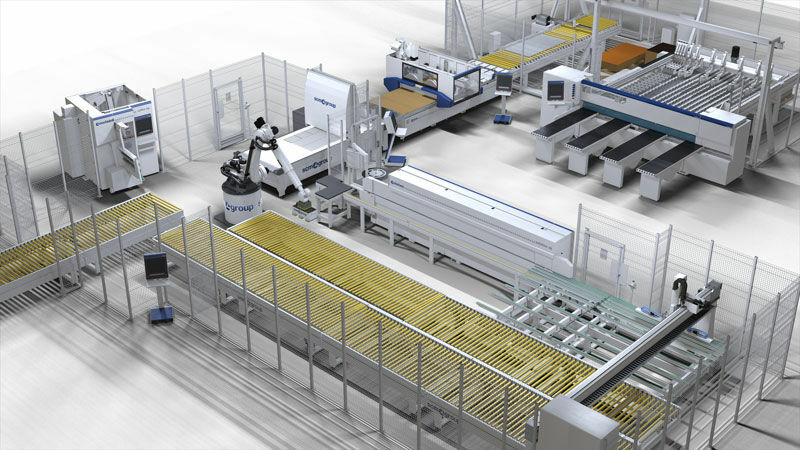 At AWFS 2017 SCM will present a cell system that meets the needs for customized industrial production, implementing Industry 4.0 concepts. 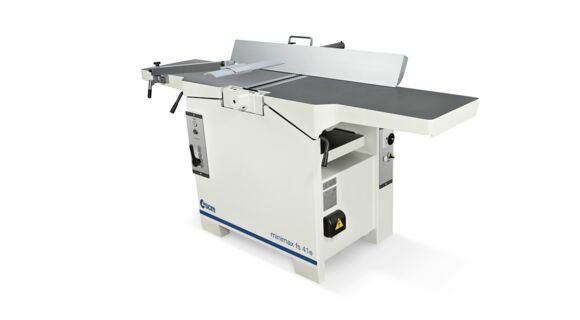 Our Lean manufacturing system will be producing furniture parts for cabinets and closet components. 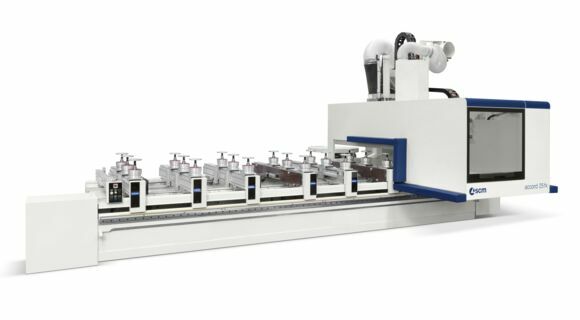 The automated system can approximately produce 12 cabinets per shift and offers control over the entire process - from raw panels to the finished piece. 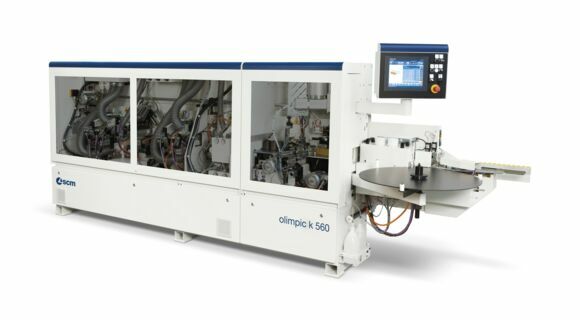 It's a solution that provides low overhead, as it requires only a single operator with minimal handling requirements to achieve optimal results, while its Lean flow operates with little interruptions. See how Lean comes to life by registering today for our Lean manufacturing seminars. 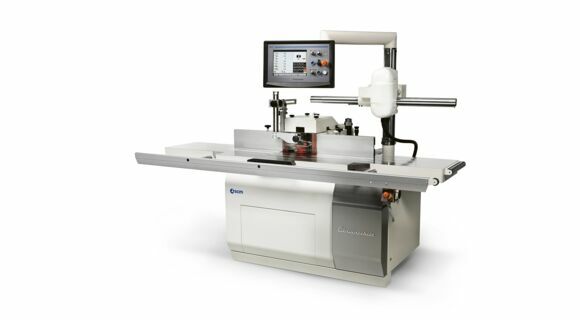 SCM has completed a major upgrade of its Maestro suite. 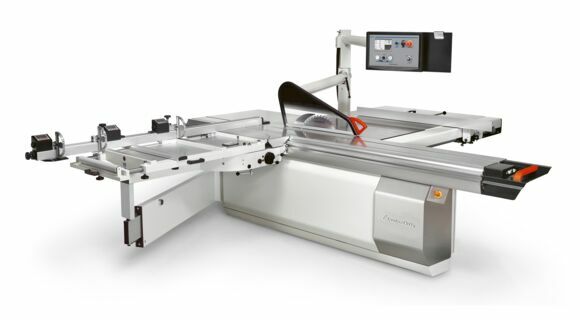 Excellent results have been achieved with beam saws using the new system optimiser, allowing an 80% reduction in computation time and 40-50% reduction in waste. 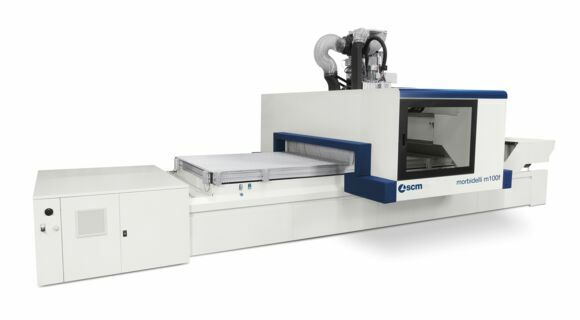 SCM software suites are designed as open systems that can operate with any type of machine, allowing total control over every machine function, while being easy and intuitive to use by any operator. 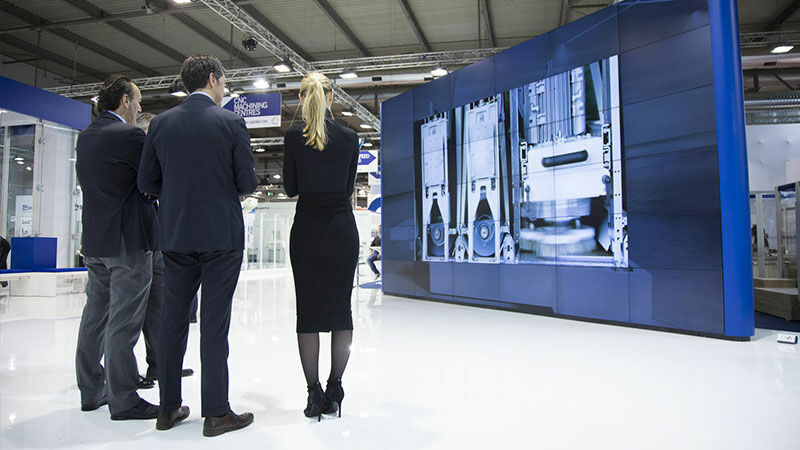 For the first time, we will have on display a multimedia system that will offer a virtual view of machines and their technologies. 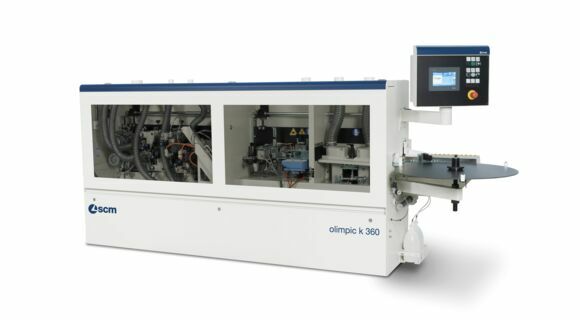 Attendees will have the opportunity to see first-hand how they can benefit from this system with the ability to view the machines from the "inside". We will demonstate a ground breaking industrial innovation that is a huge technological step forward. 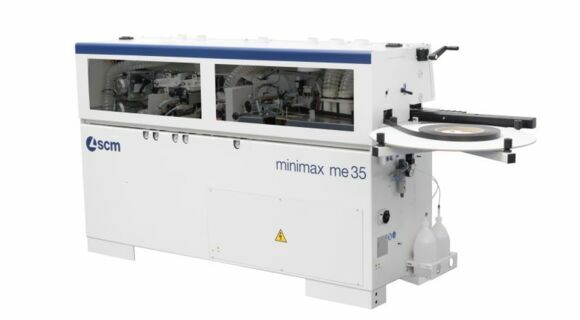 The possibility of machine virtualization not only means being able to drastically reduce energy consumption and the environment impact of product movement, but also the ability to offer customers a multimedia tool with unlimited potential. 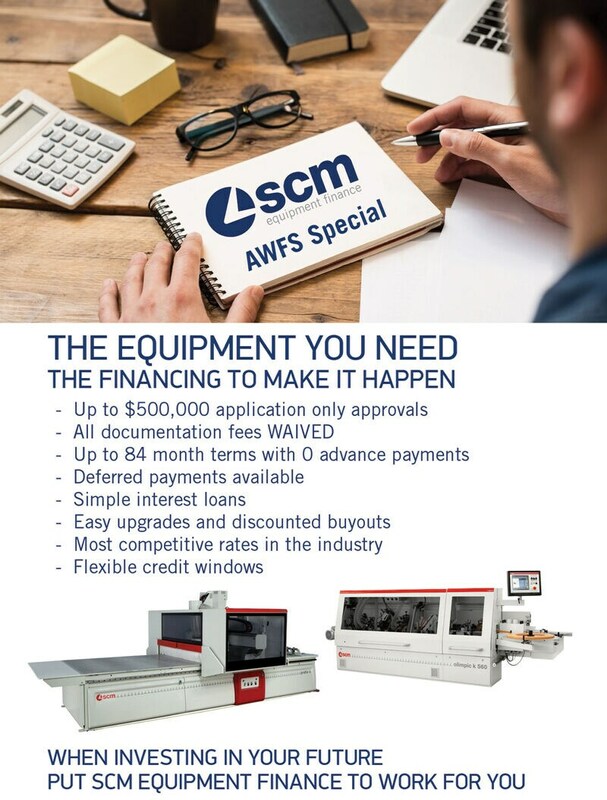 SCM provides the know-how to help you manage and protect your investments with services that go beyond the time of purchase. 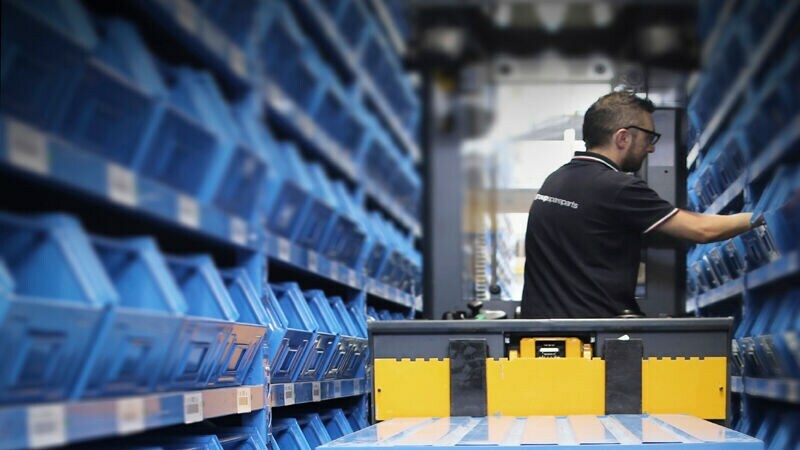 With over 500 specialized technicians and automated spare parts warehouses, we ensure your equipment will deliver maximum performance, allowing you peace-of-mind while focusing on your business operations. Make sure to visit Service and Parts where we will listen to your needs, offer advise and provide any additional information you may need regarding after-sales service. 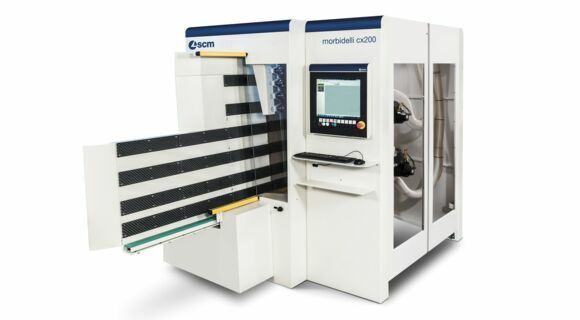 SCM’s LEAN Cabinet Manufacturing Cell will be demonstrating a Morbidelli M600 SC labeling and nesting machine, a Stefani HD Solution Edgebander, and an OMAL HBD 1300 OF bore and dowel machine coupled with TWO Kawasaki Robot’s for loading all the machines and unloading directly to carts. 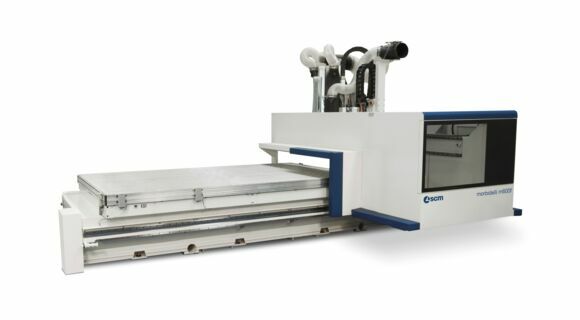 Parts will be produced for Cabinet Assembly in a CPC Through Feed Case Clamp. 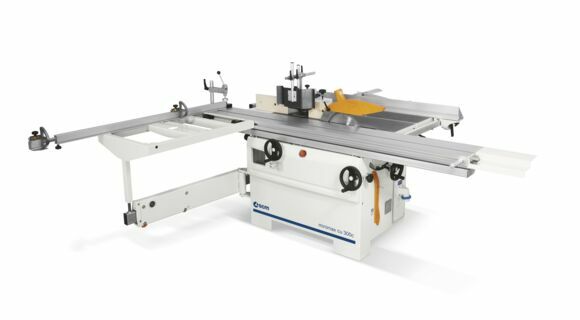 The cell will be producing kitchen cabinets and closet components which SCM will donate to Habitat for Humanity. 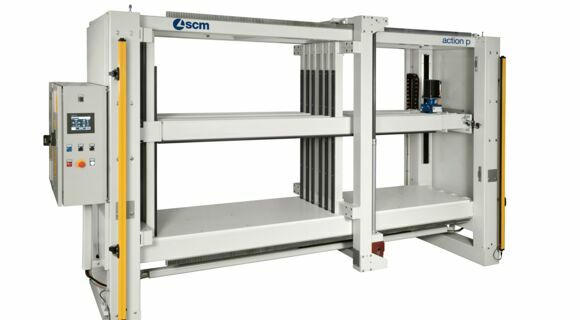 SCM and Edge Automation have designed the cell for maximum productivity of the nesting solution. 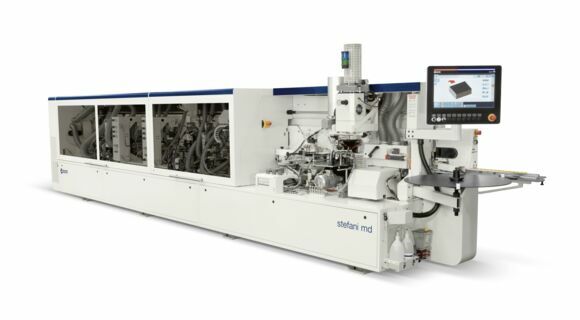 SCM dedicates this issue of its magazine to technological development, as told and experimented by a number of companies which rely on machines and production systems that can satisfy their new needs and quickly respond to signs of change. 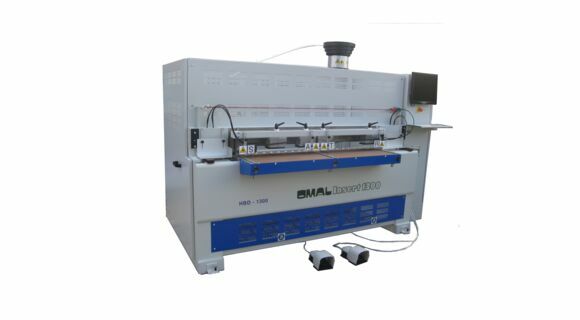 As a producer of advanced technology solutions, SCM focuses intently on the entire subject of Technological Development. We use this term to describe the commitment and positive energy invested in improving the entire production system.